The No. 1 reason I see that companies aren’t getting ROI from CRM is culture. This isn’t surprising: Many have 10, 20 or 30 years of culture under their belts, and bringing CRM in is a big change. They’ve been successful without CRM, so why should they change? It will take time, but you can clear the culture barrier. Training is important when you’re first embarking on a CRM journey. But if you’ve had CRM in place for several years and you’re still not seeing the results you want, it’s not too late to train. If you missed the recent SalesProcess360 webinar, ROI from CRM: 3 Takeaways in 30 Minutes, access the on-demand video here. It is always difficult to get everyone on-board with new technology. 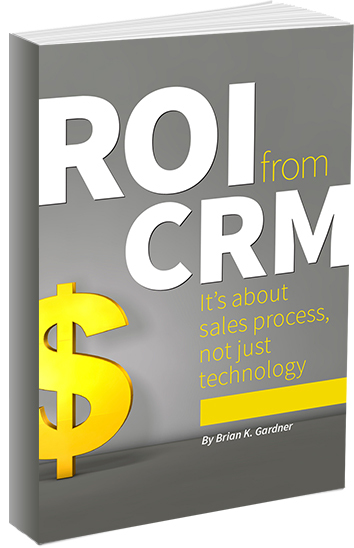 CRM is no exception. In fact, distributors, reps and manufacturers often face a challenge in getting “sales cowboys” to embrace CRM. Some worry that Big Brother wants to look over their shoulders. Some just resist a change to their regular routines. One of the most common reasons that CRM fails for industrial sales organizations is because they try to do too much, too quickly. I encourage you to start slow and grow. Don’t try to do everything at once. I’m a big believer in training not only on the How but also on the Why of sales process and CRM. What Are Your Company’s Top Obstacles to CRM Success? But every company has its own Achilles heel.